If you've finally decided to get rid of your satellite TV in favor of just streaming everything, you're going to have some unneeded hardware on your hands. 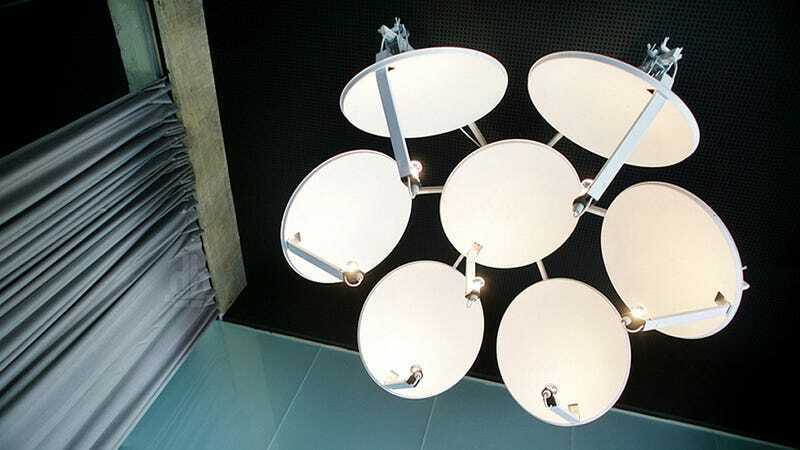 Namely a compact dish that can either be repurposed as a bird bath, or this fantastic chandelier if you can round up a few more from around the neighborhood. This custom creation serves as the centerpiece for a conference room, beaming light down onto a large table instead of collecting invisible transmissions from orbit. Designed by Crotia-based design and architecture agency Brigada for its sister company Bruketa&Žinić OM's revamped offices, the hanging sculpture was inspired by spying and other hush-hush secret operations. Instead, it was so popular they named the conference room after it.